Here are six kitchen trends we hope to see more of this year. The beginning of the year is the perfect time to re-evaluate your kitchen’s style. But how do you know which popular styles are truly classic, and which are just trends? Whether you’re designing your ultimate dream remodel, or planning a weekend DIY project, make sure you choose styles that will still look great in ten years. Here are the trends that we think we’ll be seeing more of in 2015, and for many years to come. Photo courtesy of NB Design Group Open shelving has long been a favorite choice for homeowners who desire the feel of a spacious kitchen. It’s a great way to showcase beautiful dishes, or even create an artful display with spices or gourmet oils. If you have a lot of clutter, open shelving may sound scary. But consider a mix of cabinets and open shelving for more flexibility. Open shelving also enables you to highlight more of your beautiful tile backsplash, or create an innovative storage space. 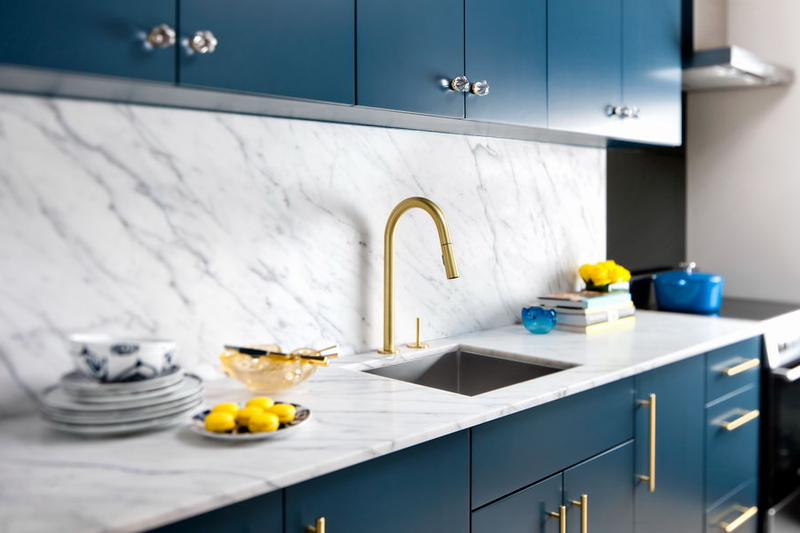 Photo courtesy of Toronto Interior Design Group Zinc, bronze, brass, and pewter-toned metals will remain on-trend in the kitchen this year. These warm-toned metals bring warmth to your kitchen, and pick up on beautiful warm greys that are so popular as wall or cabinet colors. Drawer pulls, kitchen faucets, and pendant lights take on an extra layer of luxury when treated in these tones. Metal canisters are another way to introduce the trend. For a more dramatic touch, a pressed tin ceiling treatment or stainless steel backsplash is an unexpected way to introduce warm metallics. Photo courtesy of Graciela Rutkowski Interiors Honey oak cabinetry is over; expect to see more solid painted cabinetry for quite a while. 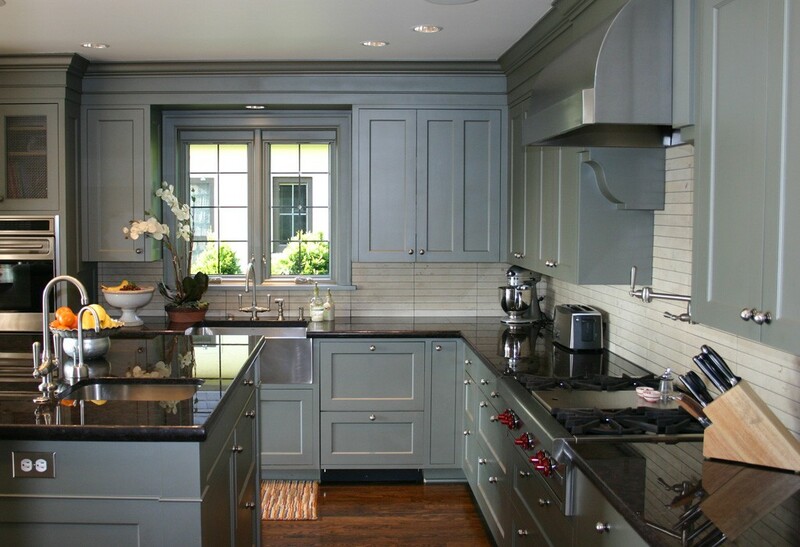 Painted cabinetry brings a whole new look and feel to your space. 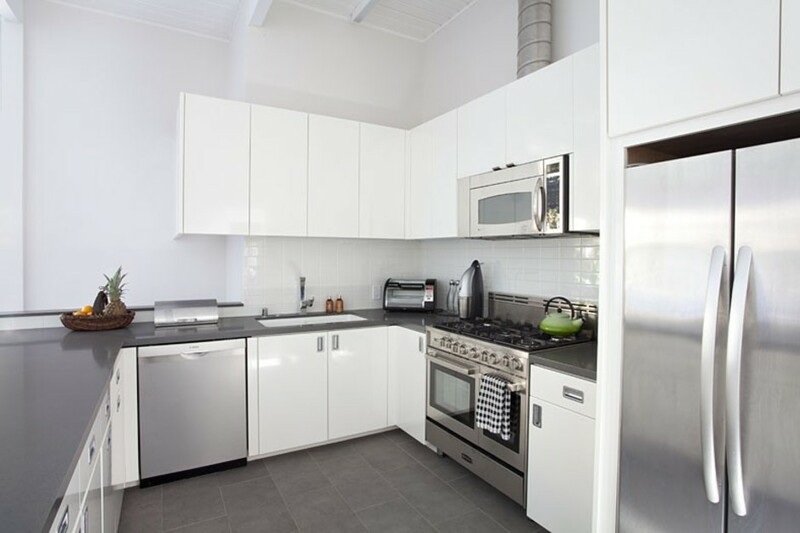 Freshly painted white or light grey cabinetry will add a fresh, light feel, whereas a darker charcoal or matte black paint will add elegance and drama. Having cabinets professionally painted is more expensive than going DIY, but they will look much better and last much longer, making for a better return on your investment. 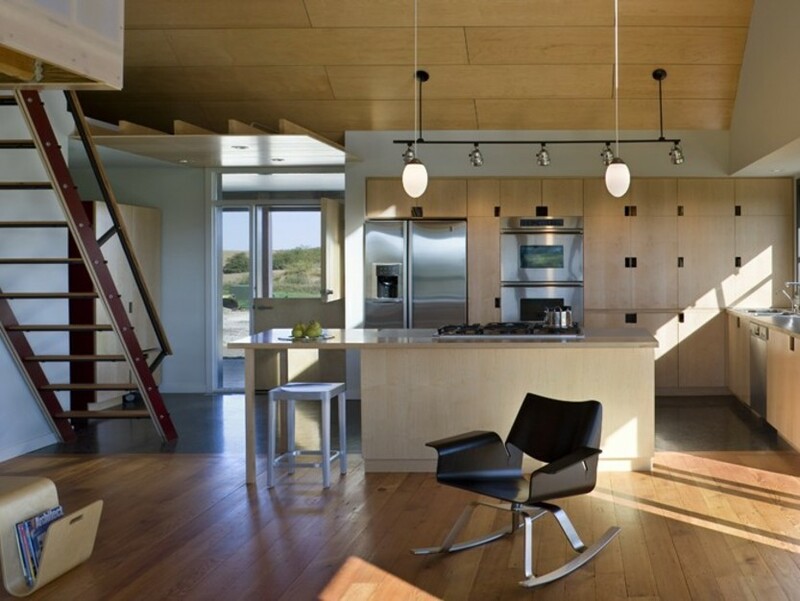 Photo courtesy of DeForest Architects Long relegated the the IKEA look of the 1990’s, pale blonde or whitewashed wood floors and cabinetry are making a comeback. White oak flooring, which has grey undertones, works beautifully with furnishings from modern grey to country white, and is inexpensive when compared to walnut or exotic hardwoods such as ipe. Wider planks give light wood floors a more contemporary feel. 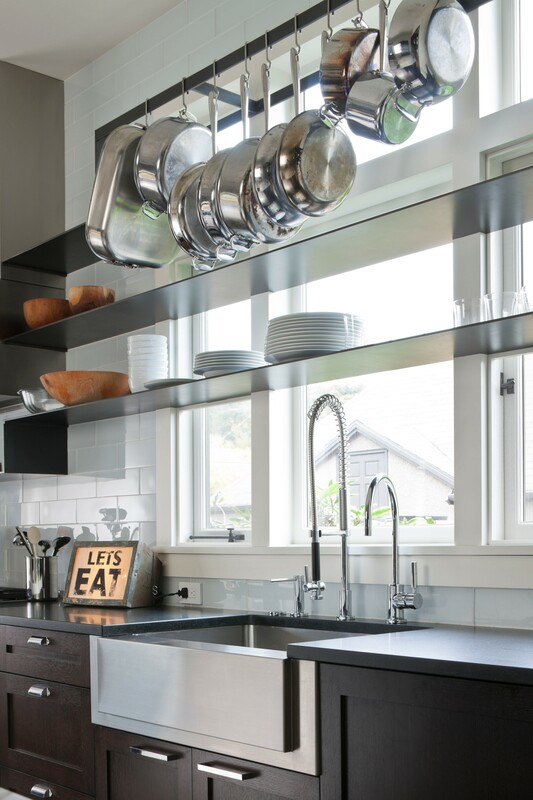 Photo courtesy of Klopf Architecture Solid quartz countertops have been rising in popularity for a few years now due to their consistent patterning and low maintenance needs. There are no signs of this slowing down–in fact, with other white stones like marble sweeping remodeling trends, the popularity of marble look-alike quartz has only grown. Solid surfaces like quartz add a high-end element that elevates the entire kitchen, and will bring you a good return on investment in the future. Neutral colors like whites, greys and “greiges” will continue to lead the pack in popularity, as they match with any color cabinet. 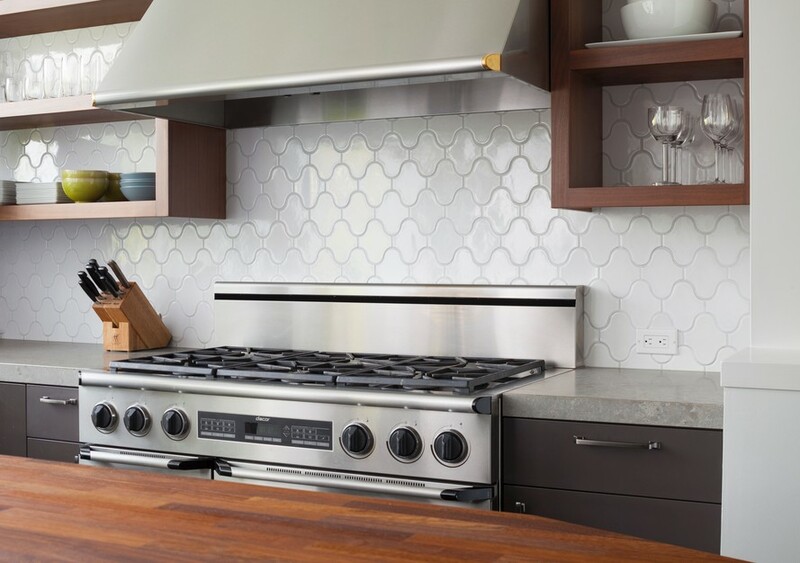 Photo courtesy of Fireclay Tile Tiling a backsplash is one of the best ways to add color, texture, and personality to your kitchen, while instantly updating the space. But those inch-square glass tiles have saturated the market. Expect to see more Moroccan-inspired tile shapes such as arabesques or hexagons in a variety of colors this year, as well as other fresh departures such as herringbone. These shapes offer a fresh alternative to rectangles and squares, while still looking clean and simple. If you’re fond of the ever-popular white subway tile, but looking for something a little different, try these.